Born Anastasiya Hamolka in Belarus, Anna Ador is a film and theater actress, raised in a family of scholars. She predominantly works in the Indian entertainment industry and has been an active part of numerous stage-plays and productions. Ador had a special appearance in Shahid Kapoor starring Udta Punjab. In 2016, she appeared in a Gujarati film titled Passport, in which her portrayal of an exchange student was well appreciated. Her 2017 release includes YRF's Hindi drama film Qaidi Band. 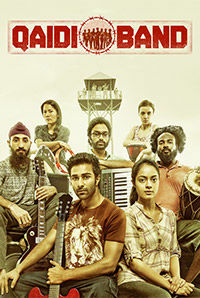 Directed by Habib Faisal, the movie stars Anya Singh and Aadar Jain in the lead.